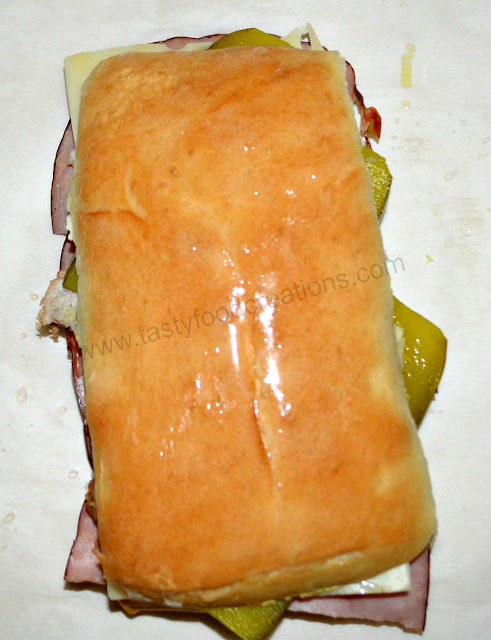 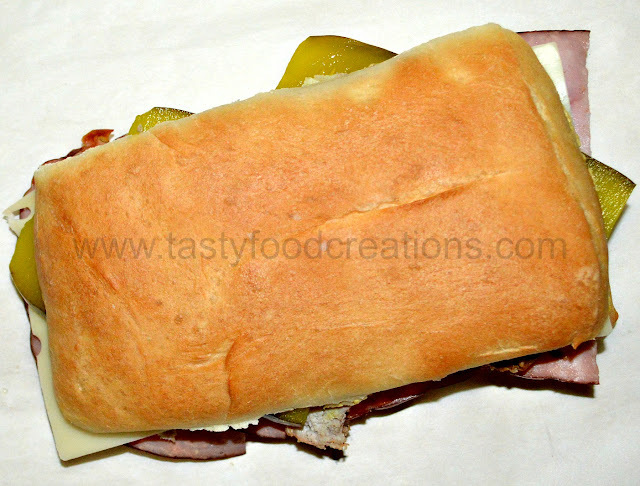 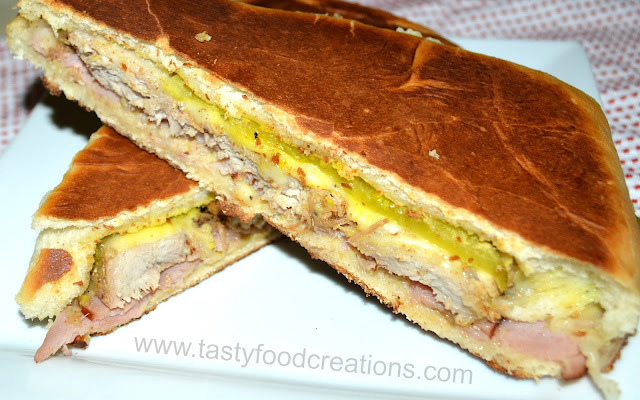 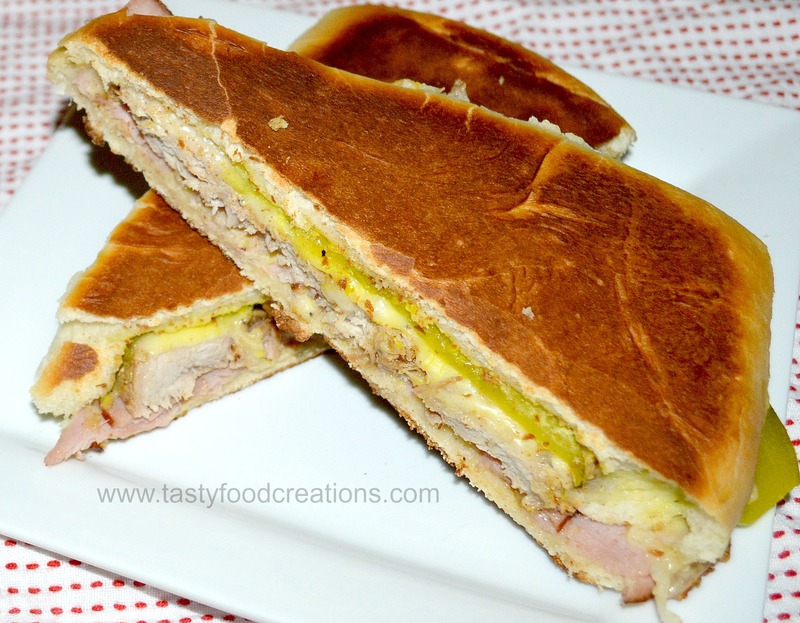 Slice Cuban roll in half lengthwise. 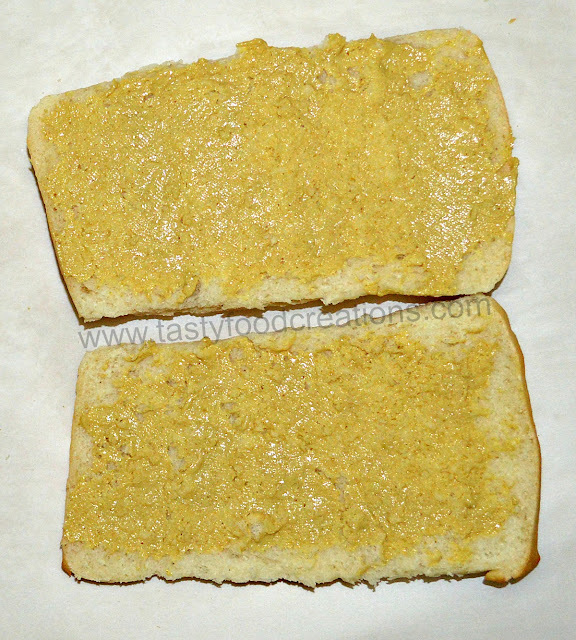 Spread 2 tbsp. of Dejon mustard. Next, Layer 4 slices of ham. 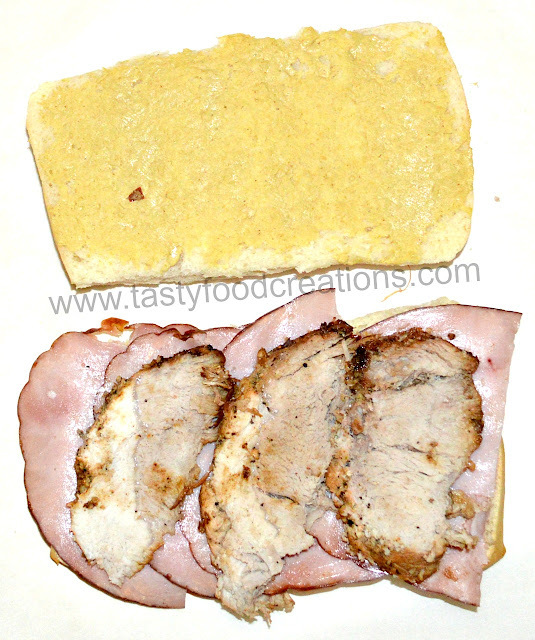 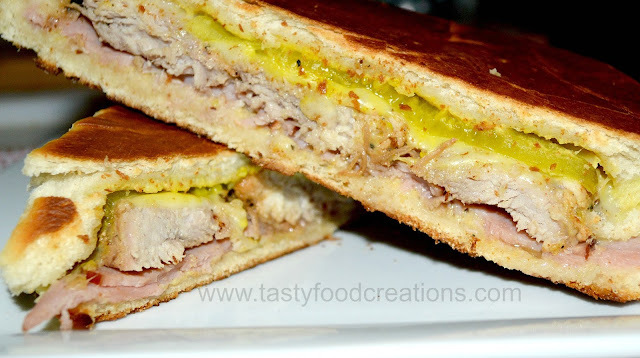 Top ham with 3 slices of roasted pork. Top pork with 2 slices of Swiss cheese. 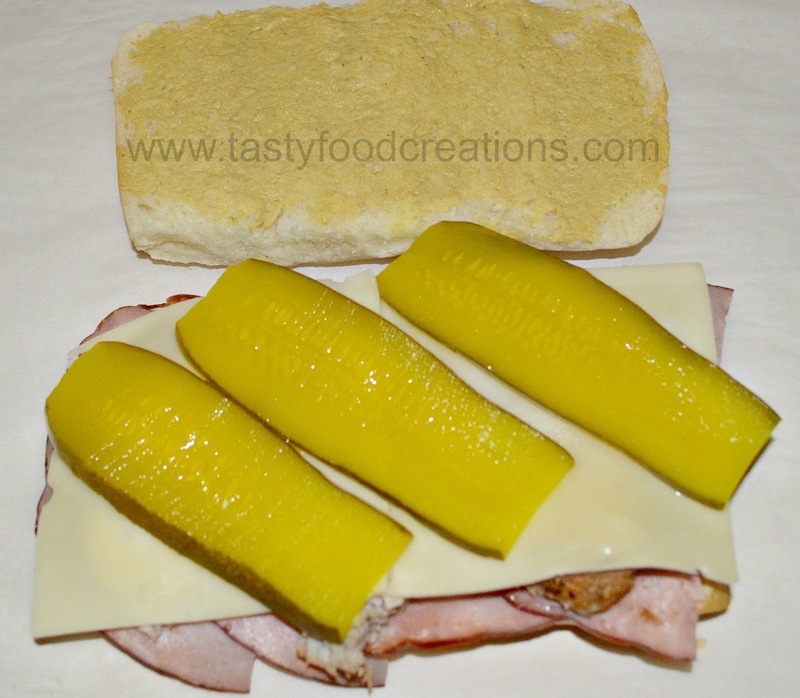 Top cheese with 3 sliced dill pickles. 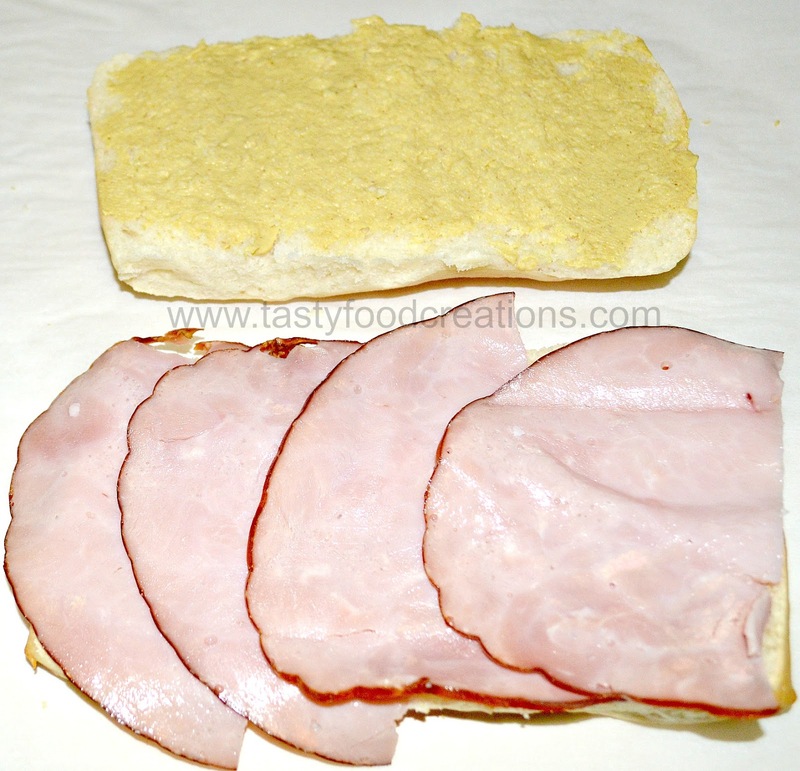 Brush both sides with melted butter. Place sandwiches into a panini maker. 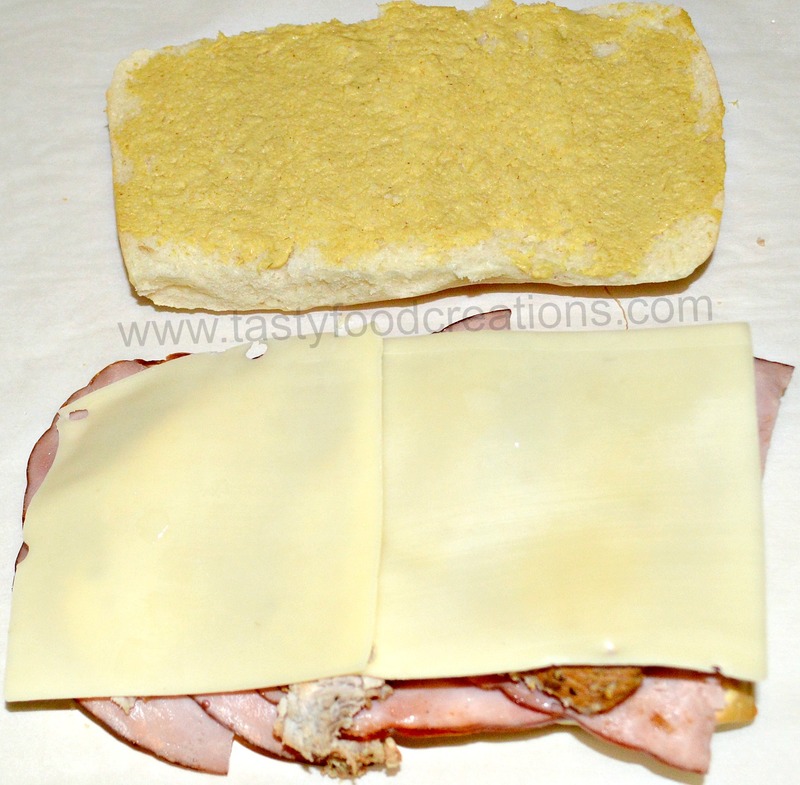 Grill until cheese is melted. 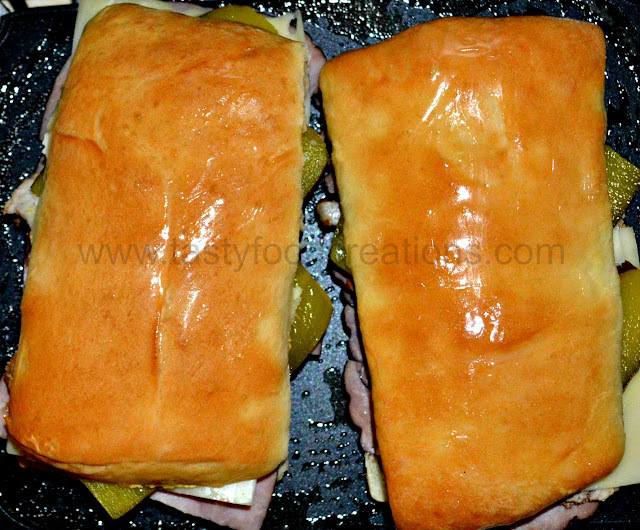 You can also grill in a pan, using a brick covered with foil to press down the sandwich and grill on both sides.